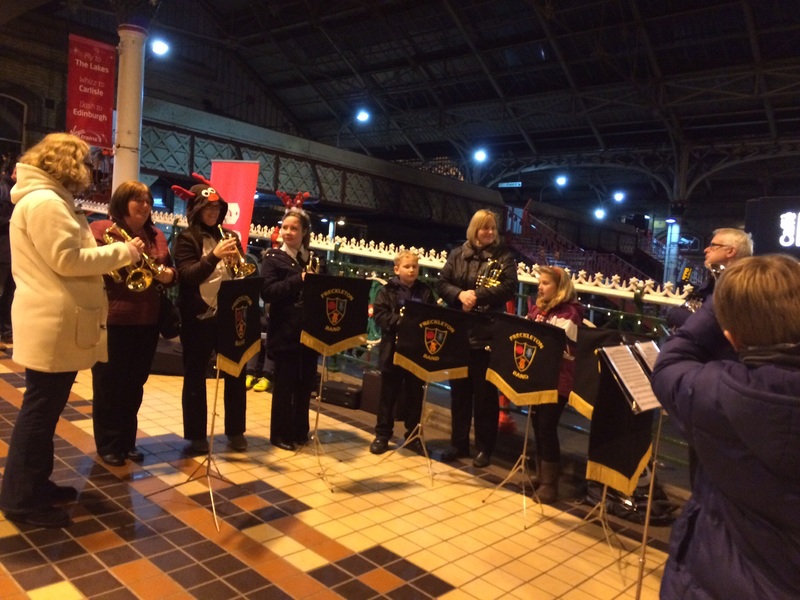 Several members of Freckleton Band and the Freckleton Junior Band went to Preston Railway Station on Thursday afternoon to give a festive send-off for the under-privileged children of the Rock FM Cash for Kids Santa Express as part of their Mission Christmas event. Julie Rooney, who played in the band for many years and whose daughter Amber plays in the junior band said, “I work very closely with the charity all year round and this was another great way to support the guys there with the fantastic work they do for under privileged children in Lancashire”. 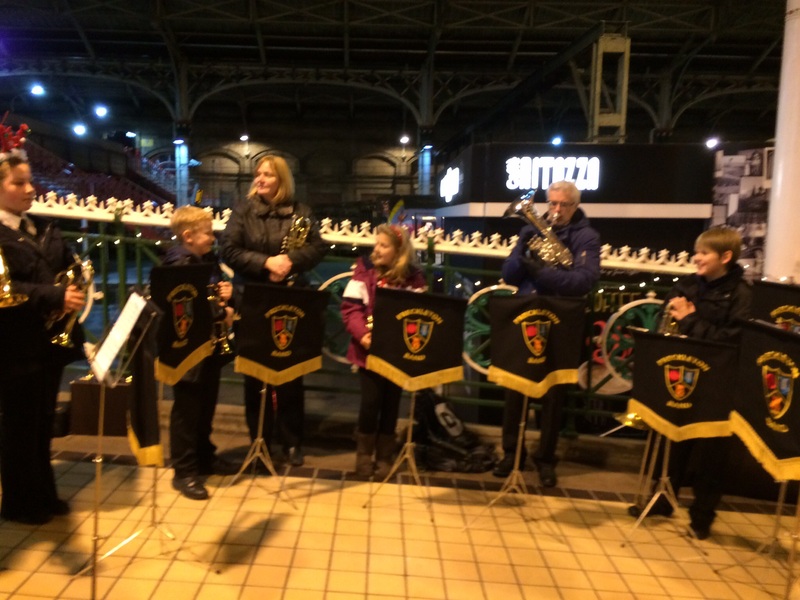 The band appeared on Rock FM with a rendition of “Rudolph the Red-Nosed Reindeer”, a new experience for the youngsters who took it all in their stride! 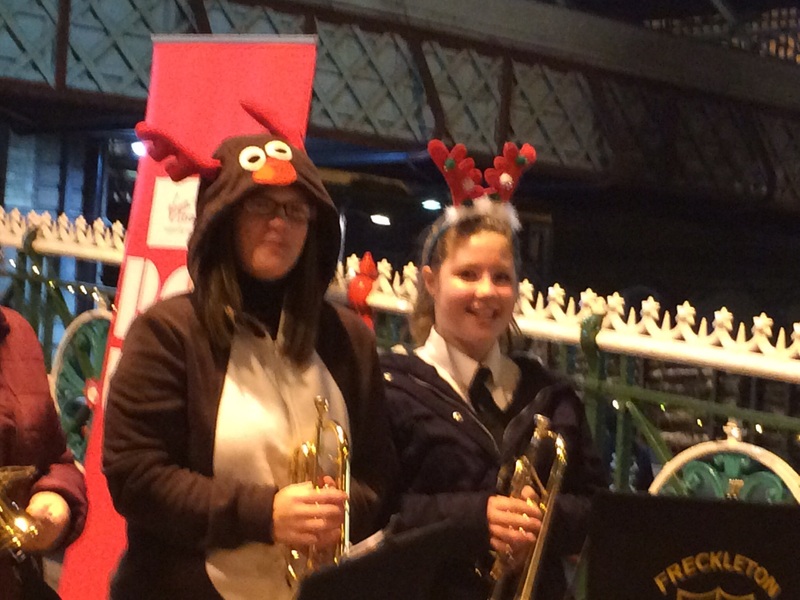 This entry was posted in Brass Band, Freckleton and tagged Community, Santa Express, Youth Band by grumbal. Bookmark the permalink.